Nokia just unveiled the Nokia 500 handset running on Symbian Anna. 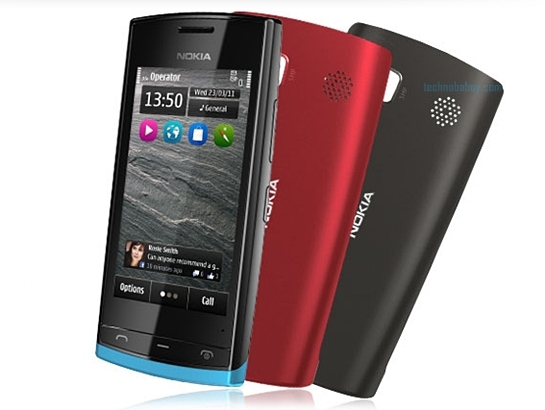 The Nokia 500 is the first 1GHz Symbian Anna smarpthone and only the second Nokia phone to pack a 1GHz processor. The Nokia N9 MeeGo handset takes the honor as the first 1GHz Nokia phone. With the Nokia 500, the Finnish handset maker is trying to use a feature that made it popular in the 90s – easily replaceable covers. The Nokia 500 is priced at 150 Euros (about Php9,000) and will be available during third quarter of 2011. I bought Nokia 500 last week.. so far, so good naman. the features are good. the 5megapixel cam resolution is good. kaya lang mas maganda sana kung may flash. para kahit dim light clear yung pictures..
what taxes are imposed on phones here in the Philippines? am planning to buy but i need specific estimates so that i can weigh my resources with this phone or other alternatives ..